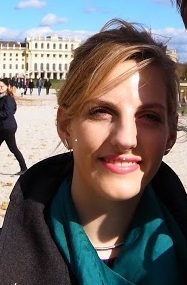 Dr Anna Price, ST3 in Renal Medicine at the Queen Elizabeth Hospital Birmingham, undertook a Birmingham Health Partners Starter Fellowship in 2015-2016 and is currently undertaking a PhD at University of Birmingham. We spoke to Anna about her thoughts on her fellowship experience. What attracted you to apply for the BHP fellowship? During my undergraduate intercalation I became involved in cardio renal research. I thoroughly enjoyed it and knew from that point on I wanted to do a PhD. After completing an Academic Foundation Programme I was unsuccessful obtaining an Academic Clinical Fellowship. In Core Medical Training the clinical workload was naturally busy and the MRCP and medical curriculum became all consuming. Research projects became squeezed into early mornings and late nights. I was fortunate enough to meet my current supervisor in my cardiology rotation and we made an application to the British Heart Foundation but unfortunately this was unsuccessful. I applied for speciality training in Renal Medicine but felt like the opportunities to do research were dwindling away. I became resigned to a career without research when the BHP fellowship flyer was emailed to me. The fellowship was a unique opportunity to gain independent funding to complete a PhD on a topic of my choosing. It gave me the break I had been waiting for. What were the benefits of fellowship? The BHP fellowship gave me dedicated time to make several funding applications and successfully fund my study consumables and time out of programme for three years. Within my BHP fellowship year I was awarded three grants including a personal British Heart Foundation Clinical Training Fellowship totalling £249,000. I have had the time to set up my study protocol, gain ethical approval, buy equipment and learn the skills required to hit the ground running. Were there any challenges during the fellowship? This was my golden opportunity to achieve ongoing funding so there was some pressure, this was the biggest hurdle. Most of my colleagues already had funding and were well on their way with a project. It can be frustrating at times waiting for news on grant applications! How much clinical work did you do whilst undertaking your fellowship? During the fellowship I took up half a slot on the on call Renal registrar rota at the Queen Elizabeth Hospital Birmingham. All of my on call commitments are outside of normal working hours i.e. lates, nights and weekends so they don’t interfere with patient recruitment. It does allow me to keep up my clinical skills and in the long run I know it will be much less daunting when I return to training. Did the fellowship help with your clinical practice? The fellowship has taught me perseverance and persistence. My confidence has grown and I have more self-belief that I can work through challenges and find my own solutions. I approach research papers in a completely different way now. I am more critical of the methodology used and I don’t take findings at face value. Do you feel that the fellowship has helped you with your career development and aspirations? It has reaffirmed my desire to have a career in Academic Medicine. Completing a PhD is the first step in achieving that goal. Being involved in an established research group has given me experience in clinical trials and multi-centre studies. I have been lucky enough to work with some of the best academics in their field. I have really enjoyed aspects of research that I didn’t think I would such as statistics. I have also been able to explore sub specialities such as hypertension which I hadn’t considered before. What would your advice be to anyone thinking of applying for a BHP Fellowship? Identify a supervisor who shares your academic interests and will support you during your research. Someone you can develop a good rapport with is important as you will be working with them closely for a number of years. Review potential funders early and be aware of grant deadlines (there may only be one application cycle per year). Develop your project proposal as much as you can. Use existing funding application forms to guide you.